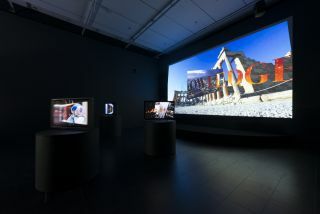 The new display at Ikon entirely transforms one’s perception and experience of the three connecting gallery spaces. David Tremlett’s exhibition ‘3 Drawing Rooms’ brings together an unusual combination of pastel pigments, varnish, graphite and engine grease to build up paintings directly onto the walls. These cover the architectural interior to slightly disorienting psychological effect. 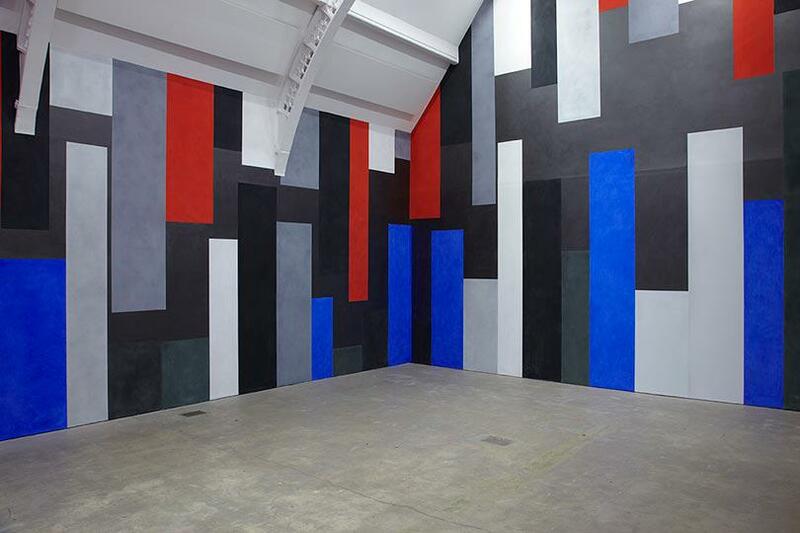 In the first room, a series of vertical rectangular shapes painted in cobalt blue, grey, ruby red and black seem to elongate the height of the gallery, and also contract the space around the viewer. 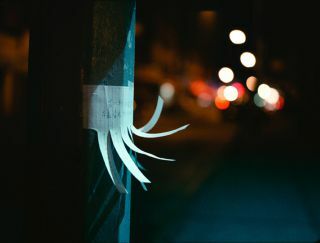 The effect, which speaks of a heady mixture of skyscrapers and night-time lights, is at once oppressive, exhilarating and dramatic. One feels very small in this room. 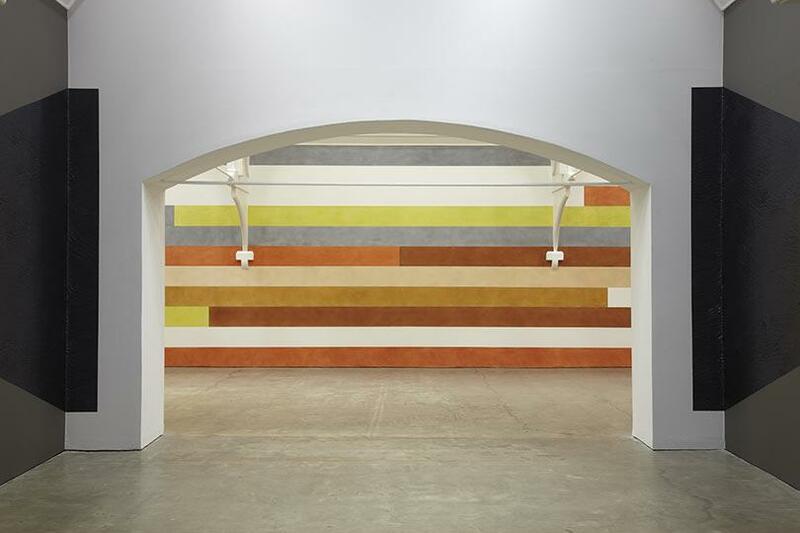 A wall painting composed of brown, orange, yellow, grey and ochre rectangular horizontal forms is displayed in the third space. It recalls an altogether more calming pastoral landscape, though rendered with similarly meticulous painterly precision, as if made up of abstract units denoting hedge, field and puddle. However, the artist is careful to state that the pieces are not involved in the work of illusion but stand simply for themselves. 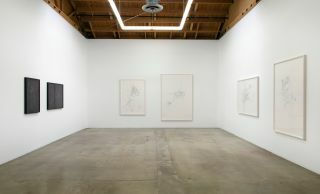 Aside from the emotive impact of the work, a visual oscillation between dual aspects operates throughout the exhibition. 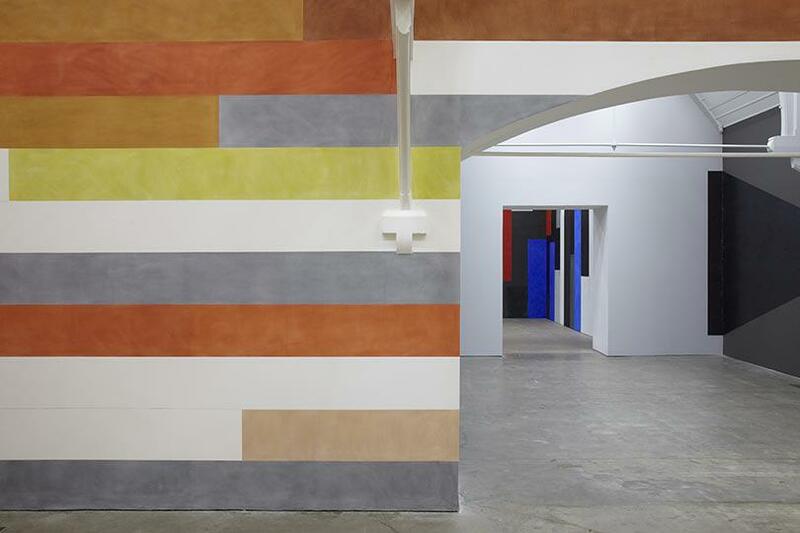 There is a sense of play between horizontal and vertical, and exterior and interior, but particularly striking are the relationships between pigment and ground, and vibrations between individual blocks of flat colour. The textures here are chalky, almost like tempera or secco frescos, with pencil marks bleeding through the thin applications of paint. Other pigments have been polished to achieve a subtle textural hazing on the paint’s matt surface. 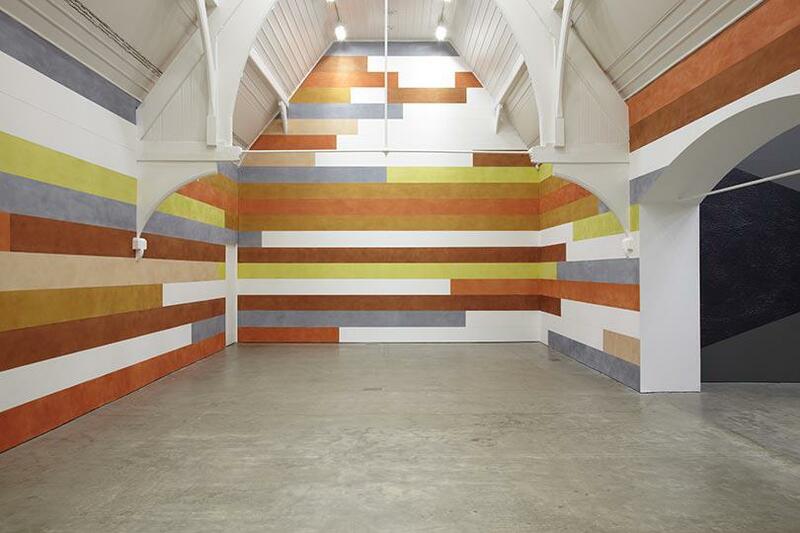 If the central room of the exhibition acts as a passage between the other two, then its materials reinforce this. 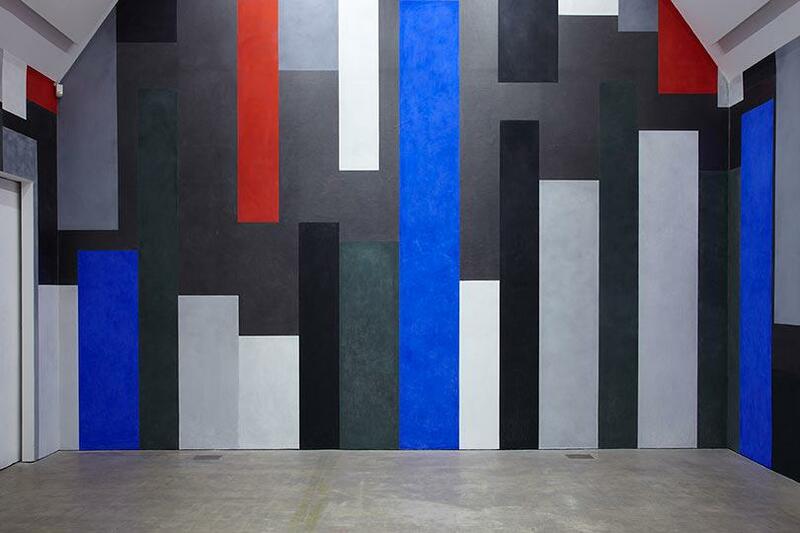 On top of a matt mid-grey ground are painted symmetrical forms reminiscent of audio speakers. These are rendered in engine grease. Thickly impasto, these black areas are sensual, visceral evidence of the artist’s labour-intensive making process (the paintings took six people 15 days to complete). The grease has been carefully applied by hand to evoke more than simply a trace of the body. Individual finger marks are visible across these large glossy surfaces in carefully regulated smears and tracks. This is a material with a history for Tremlett. He began using it in his work while still an art student in London in the 1970s, after starting work part-time as a car mechanic. 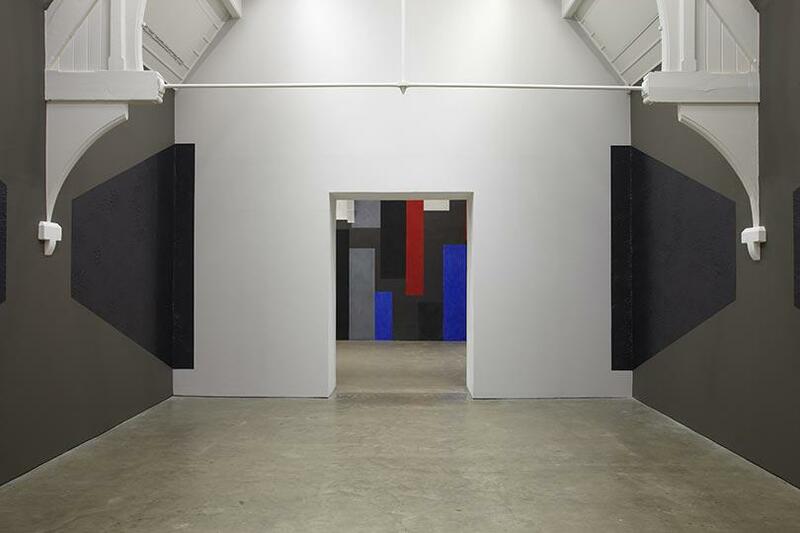 The middle room then, lubricates the journey of the viewer between the first and second room works, forming a demarcated ‘transition space’ which is also the powerful core of the exhibition. Interestingly, Tremlett describes these works as flat sculptures, noting that they are, ‘all about the ceiling, the floor and what’s going on around you.’ Although this conflicts somewhat with the exhibition title, sculpture is perhaps an apt description for a series of work with such bodily presence. 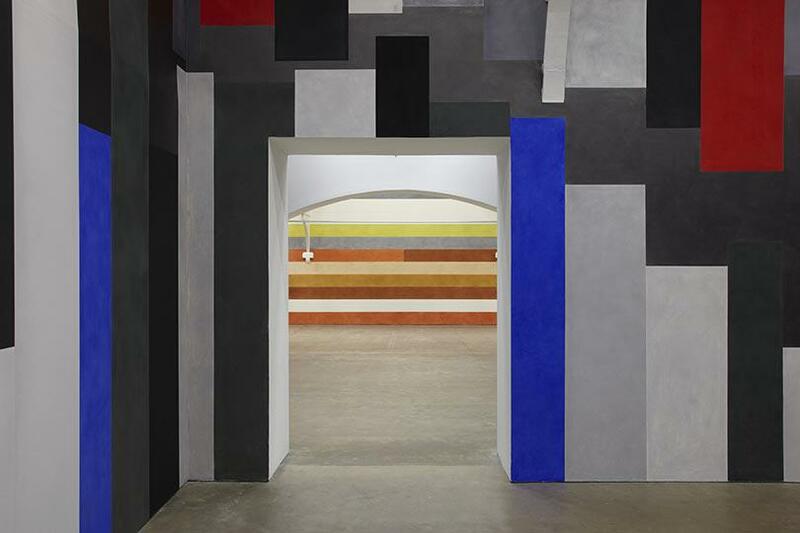 As the artist’s painted shapes cover nearly every inch of wall space, attention is drawn to the neo-gothic details of Ikon’s interior which more usually go unnoticed. 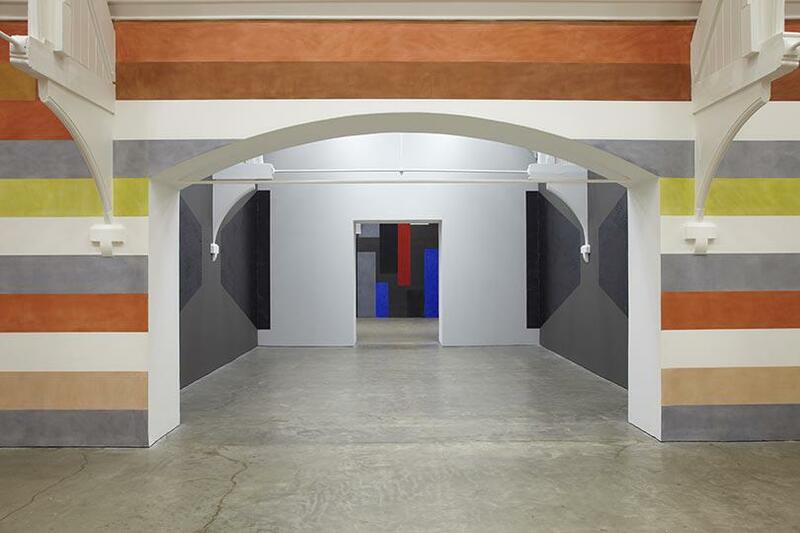 The gallery’s unique archways, vaulted ceilings and curlicues operate in dialogue with the clean lines and vivid colours of the wall paintings, taking centre stage in the three-dimensional compositions, especially in the central room. The contrast between these two distinct aesthetic styles engenders a dynamic dialogue between the works’ formal components, while the vast scale expands one’s field of vision to take in all aspects of this ambitious body of work.